Narrow-Wide Chainrings use alternating tooth profiles that more positively engage the chain and help control a deflecting chain in bumpy conditions. This ensures the chain stays nice and snug on the chainring. Your friends at Surly (that’s us!) 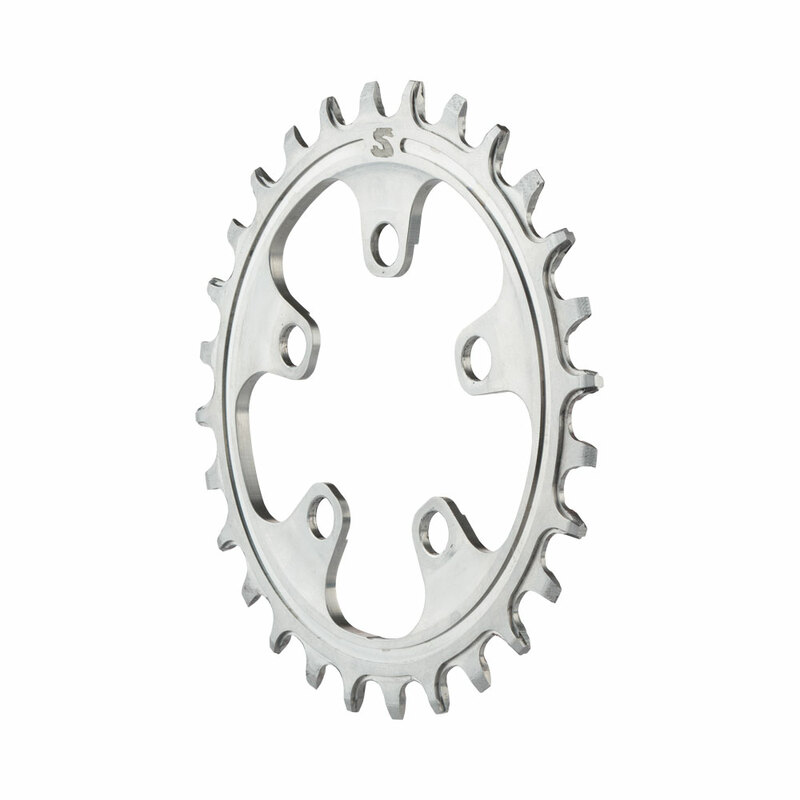 have partnered with SRAM to bring you stainless steel X-Sync™ Narrow-Wide Chainrings. Stainless Steel is durable. And durability comes in pretty handy when you’re talking about the one ring that is bearing the brunt of all your miles. They’re available in a 28t 58mm BCD configuration.